Demetrice was born in 1986 in Anniston, Alabama and moved to Atlanta, Georgia in December, 2013. He served in the US Army from 1987-1991 and was stationed at Fort Bragg, NC, Fort Sill, OK, and South Korea. After his military service, Demetrice returned to Alabama to work, but he then moved to Ohio and Louisiana to work. After returning to Alabama in 2008, he began to use the services of the Veterans Administration, who assisted him with mental health issues including Depression. Demetrice moved to Atlanta in December 2012 to seek additional services from the VA, but became homeless for a month, and was referred to Homes of Light in March 2013. 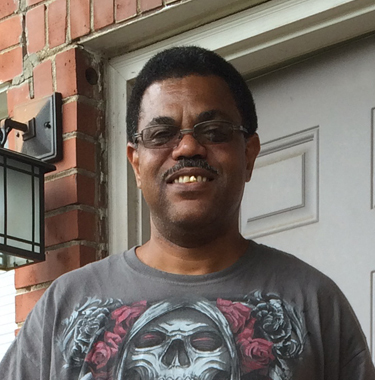 His top priority when he became a client was permanent housing, and with the assistance from the VA and the United Way SSVF Team, he accomplished his goal in less than two weeks. Since moving into his own place, he was connected with Furniture Bank, and has received furniture for his apartment. He is happy in his apartment and is appreciative of the prompt attention given to him from Homes of Light.